Largan’s strong performance was reflected in this year’s CommonWealth Magazine’s Most Admired Company Survey results. It had the fourth highest overall score of any company, regardless of sector. Behind Largan's outstanding performance in the ranking over the years has been its ability to remain competitive by developing high-end products with a high profit margin and actively expanding production capacity to consolidate its base of large customers. Jasmine Lu, head of research at Morgan Stanley Asia (Taiwan) Ltd., predicted in a report earlier this year that as the industry leader Largan would directly benefit from the trend toward dual camera smartphones. 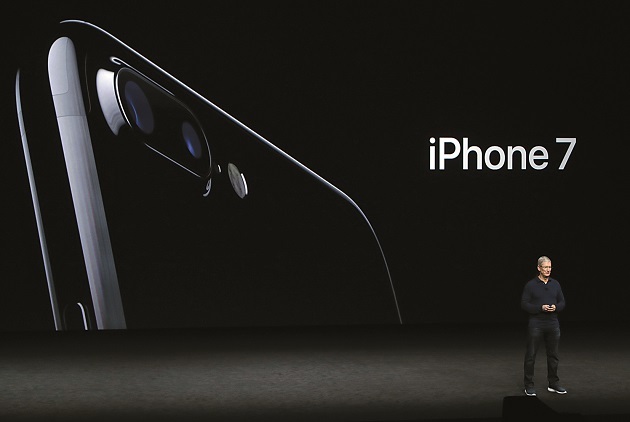 The 5.5-inch iPhone 7 Plus, which features two cameras, quickly sold out after its September release and is expected to make dual cam the norm in smartphones. The biggest novelty of Apple's iPhone 7 Plus is its 12 megapixel dual lens camera with optical zoom. While the dual cam trend will double demand for camera lenses, only a few lens makers are able to provide top-end products. Largan has managed to maintain high margins despite sluggishness in the smartphone sector because of its ability to use nanometer processes in its manufacturing operations while obtaining high yields and precision. Largan has been able to produce ever slimmer camera lens modules as handsets became thinner and smartphone camera specifications soar to new megapixel heights. Largan began to supply camera lenses for the iPhone 3Gs when the handsets had a thickness of 12.3 mm and a camera resolution of 3 megapixels. While smartphones became slimmer, more optical lenses had to be stacked on top of each other inside the camera modules to reach higher megapixel counts. Another Taiwanese lens maker, Genius Electronic Optical (GSEO), reportedly lost Apple orders because its yields were not good enough. As a result the company’s share price has plummeted from a high of NT$390 in 2011 to a mere NT$50 today. Apple’s latest iPhone 7 has nearly four times the pixels as the iPhone 5s but is 5mm thinner. Largan has managed to stack seven lenses perfectly aligned inside a plastic mount that occupy a minimum amount of space. Industry insiders expect Largan to reach a yield rate of 70 percent in the fourth quarter and win more than 90 percent of the camera module orders for the iPhone 7. Largan has also gradually adjusted its product lineup, focusing on high-margin, high-end camera lenses. Presently, 60 to 70 percent of Largan lenses have a megapixel count of 10 and higher. Lenses with a resolution of fewer than 5 megapixels account for less than 10 percent of total output. The success of the dual camera iPhone 7 Plus has spurred manufacturers of smartphones running on Android and other non-iOS operating systems to adopt the dual cam setup. Lin believes this trend will benefit Largan. “There will be more models in the new [dual cam] product category, and there is room for higher yield rates," he says, hinting that Apple is not the only company to use dual cameras and that dual cameras have in fact become the industry trend. Most aggressively moving forward has been Chinese mobile phone giant Huawei, with its release of the dual lens camera smartphone Huawei P9 in April this year. Chinese brands Oppo and Vivo, which became the top two smartphone brands in China in the third quarter, will follow suit by launching smartphones with dual camera modules early next year. Yuanta Investment Consulting forecasts that a total of 67 million smartphones with dual cameras will be shipped this year and double that number could be shipped in 2017. “Largan's biggest problem now is not demand but supply,” notes Birdy Lu, technology analyst with Deutsche Bank in Taipei in a recent client note pointing to capacity constraints given that the company’s new Taichung factory will not likely start mass production before the third quarter of 2017. Morgan Stanley agreed, saying in a report that if all smartphones will be equipped with dual camera modules by the first quarter of 2017, Largan will have to come up with a solution to meet rising demand. While Largan owns two factories in China and four in Taiwan, it has invested another NT$20 billion to build a brand-new fifth factory in the Taichung Precision Machinery Park. The project was delayed as the company had trouble coming up with source of clean water supply. But CEO Lin said that Largan will complete clean room installation as planned in the second quarter of 2017 and expects the plant to generate revenue in Q3 or Q4. Industry insiders believe that the launch of the new factory is closely related to the release of Apple’s planned major iPhone redesign in the fall of 2017. In recent years, Largan has expanded into the car lens sector but its production capacity remains limited due to strong demand for mobile phone lenses. Subsidiary Largan Medical manufactures contact lenses, but that business is still evolving and does not yet contribute significantly to total revenue. In other words, Largan’s ability to maintain high profit margins in 2017 will still hinge on the performance of its smartphone lens business.